Roy Wagner Gould, 84, of Warren, PA, died Tuesday, October 11, 2011 at Warren Manor, where he has resided for the past 3 years. He was born March 2, 1927 in Clinton, PA to the late Roy and Nadean Wagner Gould. Following his graduation from high school in 1945, he served in the U.S. Army during the Korean War. Adherent to his love of the outdoors and hunting, Roy spent 10 years working for the U.S. Forest Service. Roy had also been a jockey and raised his own horses. He had lived in Warren for the past 28 years. Roy is survived by his wife, Linda Whittington Gould, whom he married October 20, 1990, in Jamestown, NY. 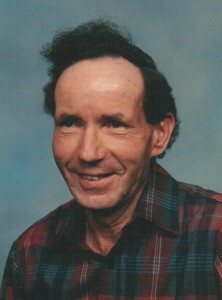 In addition to his wife, he is survived by two step children- William Hardwick and Cathleen Hardwick, both of Jamestown; Two grandchildren- Gabriel and Savannah Hardwick, both of Jamestown; Best friends- Lon Bess and wife, Becky, of Grove City, PA; and a cousin- Georgia Hipkins and husband, Edward, of Yankee Farms, PA.
Services are private and at the convenience of the family. Memorial contributions may be made to the Lander Volunteer Fire Department. The Donald E. Lewis Funeral Home, Inc. is in charge of arrangements.